Price from 3.200 ISK PER PERSON. At the brand new “state-of-the-art” Lava Centre you will learn about the birth and growth of Iceland as one of the world’s largest volcanic islands. It has risen during millions of years from the submarine North Atlantic Ridge, through countless volcanic eruptions. They occur as a large mantle plume locally adds molten rock to the magma up-flow beneath the rifting segments that line this ridge. The spreading along the ridge results in the Eurasian and North American tectonic plates moving apart 20 kilometres every million years. A visit to the Lava Centre will surely not be a disappointment. Examine the various volcanos—eruptions and lava flows, volcanic and rift systems, faults and glacial floods that make Iceland a showcase of volcanism. The Lava Centre introduces the Katla Geopark plus Iceland’s elaborate monitoring system for surveying volcanos and earthquake zones. This ticket is valid for one day for both the exhibition and cinema inside the Lava Centre. The interactive exhibition will display a collection of artifacts, films and graphics from various volcanic eruptions that have occurred in the past century. 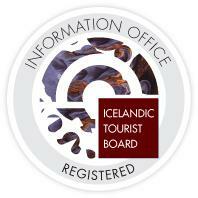 LAVA will be the hub for day trips and tours in South Iceland and a Tourist Information Centre for the region. LAVA will include a souvenir shop, restaurant and a cosy coffeehouse. LAVA will also be the main gate to Iceland‘s new Katla Geopark. The Lava Centre is located in Hvolsvöllur on the south coast of Iceland. Click here to see it’s location on Google Maps. Rent a car with us. Click here!